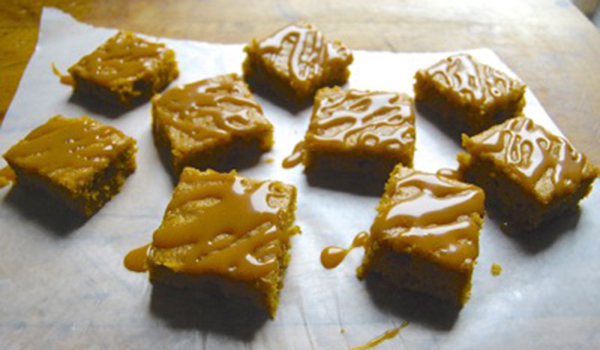 Just in time for your Halloween party — soft, moist pumpkin bars studded with caramel toffee bits, a treat everyone from kids to adults will devour. And since this easy one-bowl treat is gluten-free, you don’t have to poll guests ahead of time to find out their dietary preferences — everyone can join in the fun! Let’s get started. These bars couldn’t be simpler to make. 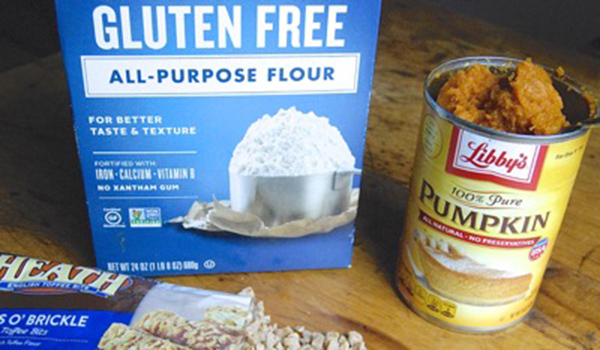 The only out-of-the-ordinary ingredients you might need are canned pumpkin, toffee bits or cinnamon chips, xanthan gum, and your favorite gluten-free flour blend (full disclosure: I’m a recipe developer for King Arthur Flour, so that’s the brand I use). Start by preheating your oven to 350°F. Lightly grease a 9” x 13” pan. 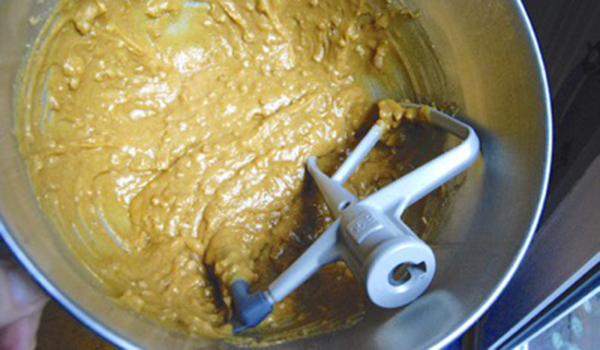 Put all of the ingredients into a bowl and beat briefly, just until well blended. Really, there’s no need to first mix the oil and sugar, add the eggs, or otherwise make a fuss: just dump it all in and mix it up. Bake the bars for 25 to 30 minutes, until a toothpick inserted into the center comes out clean of any wet batter; a few moist crumbs are fine. 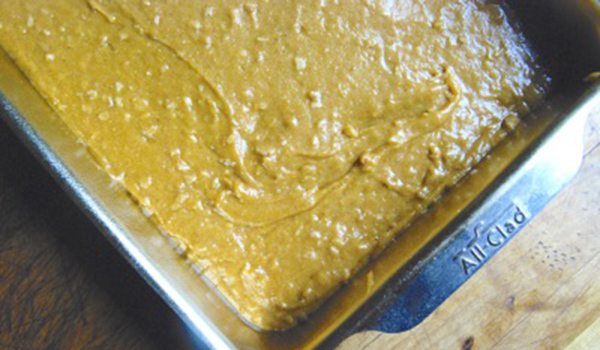 Remove the bars from the oven, and let them cool in the pan. 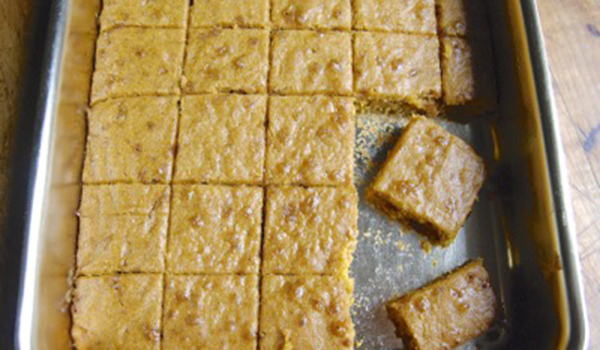 Cut into bars or squares; if you cut 2” squares, you’ll have 2 dozen. P.S. Want to add a flavorful final touch? Drizzle bars with caramel sauce just before serving.